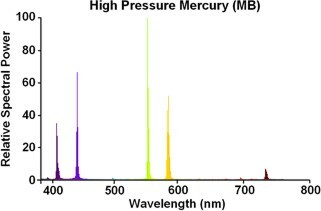 The high pressure mercury lamp is a very convenient light source in many projection and laboratory applications. Not only is it a useful line-emission spectrum reference, it also has a number of projection applications in particular where black and white images are being displayed. This lamp has been designed to be optically and mechanically interchangeable with some of the more common Class A1 projection lamps having grid-type tungsten filament sources. It employs the same tubular bulb found in such lamps and also makes use of the medium pre-focussed lamp cap. This has been aligned so that the centre of the arc corresponds with the centre of the filament in the projection lamps it is designed to replace, being 55.5mm above the pre-focussing flanges of the cap. 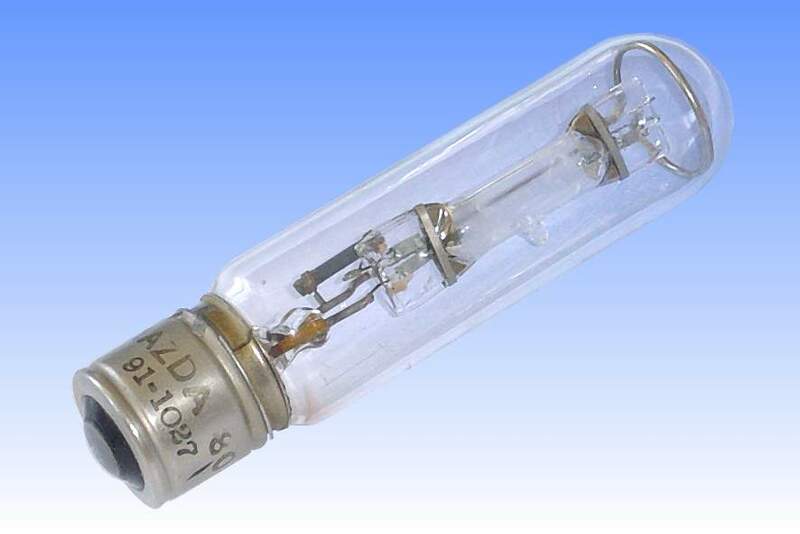 The arc tube is identical to that found in 80W MB Mercury lamps for general lighting applications. The suffix /D to the name of this lamp simply implies that it is intended for burning in the base Down orientation, as is common for most projection apparatus. 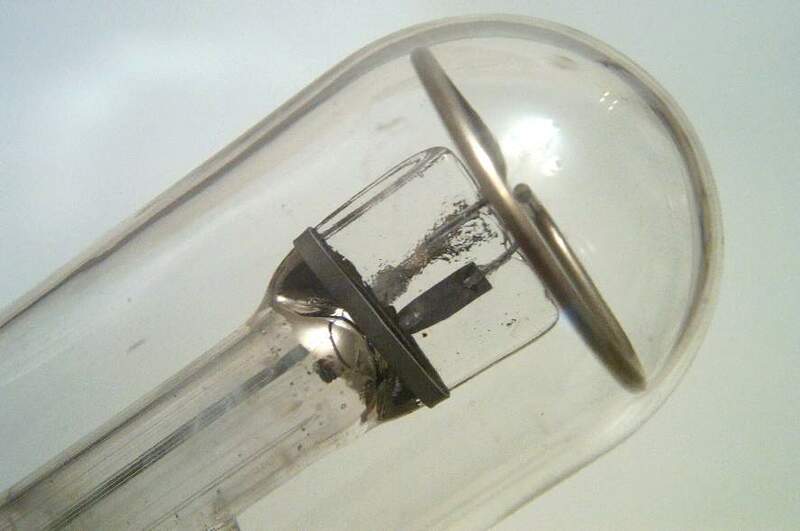 The outer bulb is made in hard borosilicate glass because of its greater operating temperature as a result of being so close to the arc tube. For more demanding projection applications, a more stable lamp was created having an improved arc tube design. 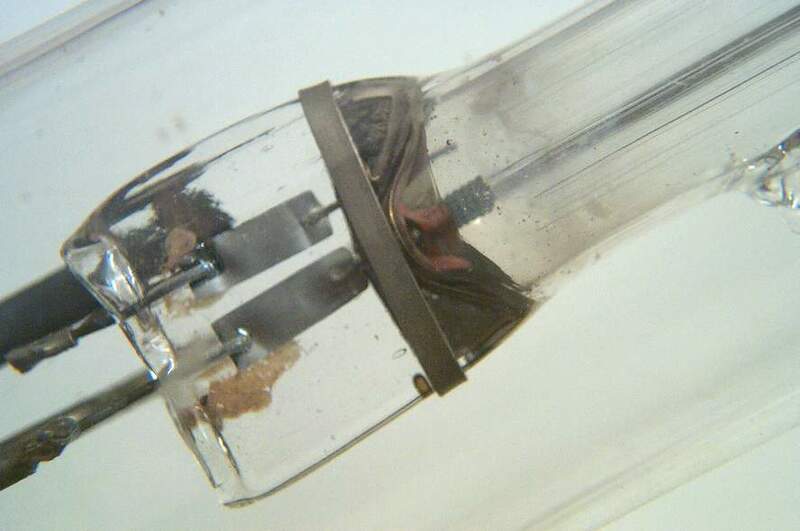 That has an annular quartz diaphragm in the arc tube just in front of each electrode, constraining the arc to prevent flicker and also to improve lumen maintenance by reducing the rate of arc tube blackening. The arc tube design was very similar to that detailed on the page for the MBL/D projection lamp, which is also featured on this site.